The Department of Family and Child Sciences (FCS) offers a Master’s in Family and Child Sciences. The degree advances students for careers in higher education, government agencies, and businesses in the private sector. Many students continue their education into a doctoral program. Others pursue careers in postsecondary education, public policy, and other organizations providing services to children and families. Our faculty specialize in several areas and work collaboratively with those in other disciplines. Thesis and non-thesis tracks are available; however, all students are admitted to the non-thesis track. After the first semester of study, you can request to switch to the thesis track. Students must be in good academic standing and consult with their major professor for final approval. The non-thesis student is required to complete a 3 credit hour capstone (a special project experience) in their last semester. The M.S. degree can be accomplished in as little as 4 semesters. Students have the option to enroll in the M.S. to Ph.D. program immediately following the completion of a bachelor’s degree. Students will earn their M.S. in Family and Child Sciences as they progress on a ‘fast-track’ toward a Ph.D. degree in Human Sciences with a concentration in Human Development and Family Science. This program only admits students in the fall. All application materials must be complete and received by deadline. An upper-division undergraduate GPA of at least 3.0 on a 4.0 scale. The same scale applies for graduate-level work. A bachelor’s degree or equivalent from an accredited university. A competitive Graduate Record Examination General Test (GRE) score; recommended score of above the 50th percentile (approximately 150) in both verbal and quantitative sections with a 4.0 or higher on the writing section. Please note that it can take up to ten (10) days after sitting for the GRE for an official score report to be sent to the university. International students must have an official TOEFL score of at least 80 (TOEFL iBT) or 550 (paper-delivered) to meet university requirements. Our department does not accept other English proficiency examinations (i.e. IELTS). A visit to the department is encouraged. Please contact us at fcs_gs@fsu.edu to schedule your visit. Before you submit your online application and pay the application fee, you should directly contact graduate faculty members in your area of interest to determine availability and recommend experiences and qualifications regarding mentorship in internships, practicum, research and other hands-on experiences. Attainment of these minimum requirements does not guarantee admission to the program. Admission decisions are based on assessments of all aspects of the student’s application materials. The department reserves the right to increase standards if warranted by enrollment limitations and by the number and quality of applicants. Financial aid is a separate process from the admission to a graduate program. If a related undergraduate degree was not awarded, certain leveling courses may be required. Individuals are reviewed on a case-by-case basis and provided with leveling course information. Upload a one-page statement of purpose that briefly outlines your research interests and/or career goals. 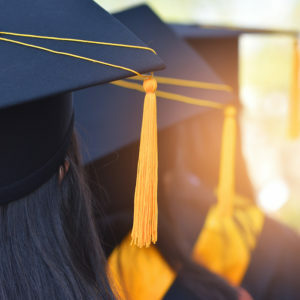 It should also include how your background and prior training make you a good candidate, as well as why you believe Florida State University is a good fit for you. You must also indicate up to three (3) faculty members with whom you would prefer to study under. We strongly encourage applicants to familiarize themselves with the research interests of the faculty. Upload a resume or vita with the most current information. Submit contact information for three recommenders. The system will directly contact each recommender individually and provide them with a link to upload their letter. Academic recommendations are preferred, but relevant professional recommendations will be accepted. Recommenders should be professionals you have worked for, are familiar with your academic performance, and can speak directly about your qualifications for this degree. No personal recommendations or letters from peers will be accepted. Submit official GRE test scores to the FSU Office of Admissions. The school reporting code for test scores is 5219; no department code is required. 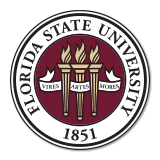 International Students: Submit official TOEFL test scores to the FSU Office of Admissions. The school reporting code for test scores is 5219; no department code is required. Submit official transcripts (with translations if not in English) to the FSU Office of Admissions. Even if courses are posted to another institution’s transcripts, we require transcripts from EVERY post-secondary institution you attended. Please allow a minimum of ten (10) business days for the Office of Admissions to process your incoming materials.